In an ideal world you’d start grinding your coffee fresh within a few days after roasting, and then finish the beans off within two weeks after that. That doesn’t always happen of course, and Airscape containers can buy you some time. 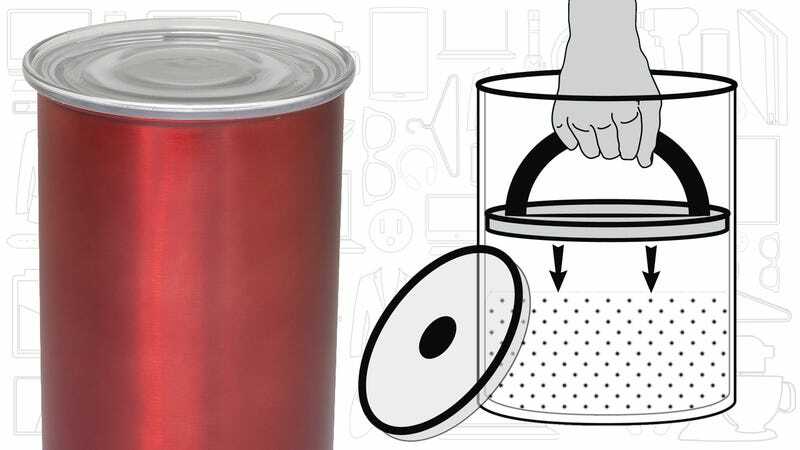 Even if you are managing to use your beans during the generally agreed upon window, an Airspace canister will still help to keep them fresher. 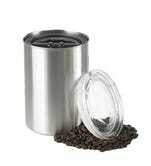 Airscapes use an airtight “lid” with holes that allow you to force most of the air out of the container. Once that’s done, flipping the handle down closes the valve, and then a second airtight lid goes on top of the container. Airspaces are stainless steel, and available in 32 and 64oz capacities and multiple colors. They work just as well for tea and whatever other perishable you might want to store. More extreme solutions to the problem, like the Coffee Bean Vac that actively pumps out air out of the container, are also available, and more expensive.